How can Harmony be of value to me and/or my organization? Receive and react quickly to FAST FEEDBACK on what worked and (as importantly) what did not so that bad assumptions can be challenged to ensure we don’t repeat the same mistakes. Not having a prioritized plan, sufficiently resourced to achieve desired outcomes without bad multi-tasking. 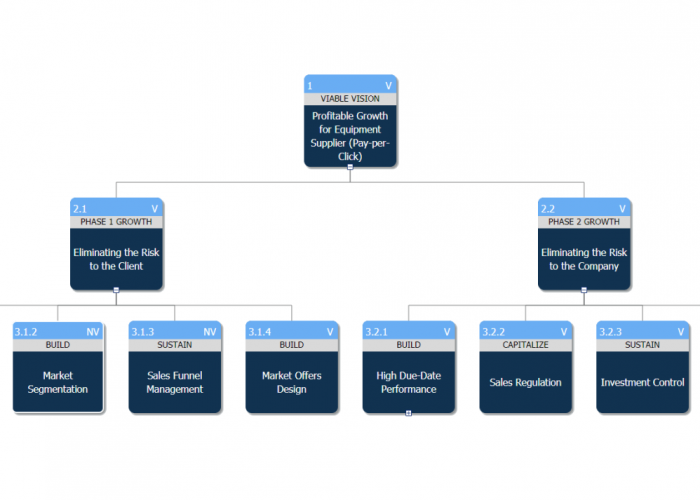 But what is Strategy and Tactic Trees and how can you use HARMONY to help you to design, validate, plan, execute and audit an S&T for your organization? That is the question we hope to answer with “Harmony Web App Quick Start User Guide” The development by Dr. Eli Goldratt, author of THE GOAL and creator of “Theory of Constraints” of a new “Theory of Constraints” based thinking process called “Strategic & Tactic Tree” (S&T) is probably “one of the most important breakthroughs in organizational strategy design, validation and communication over the last few decades. As with many breakthroughs, this breakthrough started with a simple question: What is “Strategy” and what is “Tactics” and is there really a one: many relationship between these? Dr. Goldratt realized that the words “strategy” and “tactic” had to be defined more clearly than before. His new definitions were inherently simple, yet powerful. He proposed that “Strategy” was simply the answer to the question “What for?” (the objective of a proposed change) and “Tactic”, simply the answer to the question “How to?” (the details of a proposed change). From these definitions, it is clear that every Strategy (What for) should have an associated Tactic (How to) and vice versa and that therefore Strategy and Tactic must always exist as “pairs” and must exist at every level of the organization. To better formulate and communicate “strategy” we really need to build a Strategy & Tactic (S&T) Tree, with each S&T node defining the “What for” and “How to” for the few high leverage changes we believe are necessary and sufficient to achieve organizational goals as well as the implementation sequence of these (left to right). But since any logical structure is only as valid as the assumptions on which it was based, the S&T tree should also include the assumptions of why each change is necessary, why (under what conditions) it is possible and lastly why it is sufficient. The resulting S&T Tree structure is what HARMONY has been custom developed for to help us with S&T design, validation, planning, execution and auditing. HARMONY contains a library of S&Ts developed by Dr. Goldratt which can be customized for creating a specific transformation plan for companies from industries including Manufacturing, Distribution and Projects. There is also a growing library of S&Ts submitted by HARMONY users from around the world for organizations such as High-Tech, Startups, Government Agencies, Hospitals etc. The example below shows what a typical “transformational” Strategy & Tactic Tree looks like for a Projects based organization and how each change (each S&T node) is not only given a title, but is defined as “Actionable information” that can be validated by stakeholders by defining the WHAT, HOW and 3 WHY’s of each change. Example of Strategy & Tactic Tree. 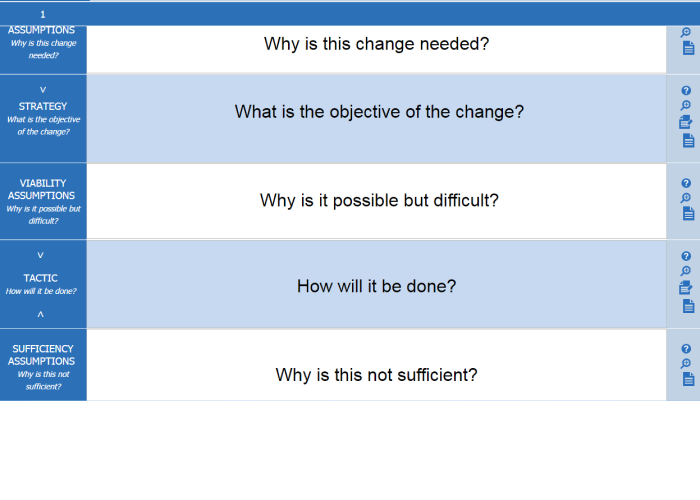 “Actionable information” that can be validated by stakeholders by defining the WHAT, HOW and 3 WHY’s of each change.